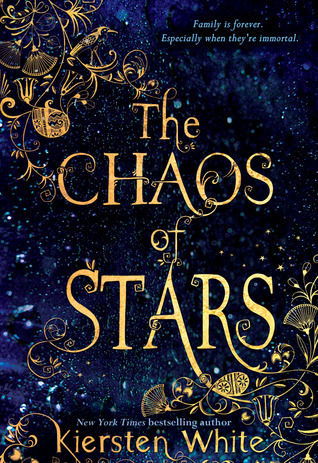 My choice for this weeks WoW is The Chaos of Stars by Kiersten White, I really enjoyed Kiersten's Paranormalcy and Mind Games series and I love books about mythology so I'm eager to read this. Love that there will be a setting in San Diego as White and I both live there (I've gotten to meet her a couple times because of that). I always like when stories are set in places I know. It's so wonderful you have been able to meet her, I'm a big fan! :) I travelled to San Diego many years ago & it was amazing. Nice! Saw this earlier too! Sounds like an exciting read! Me too Lizzy! its just a shame we have to wait until September. The Chaos of Stars sounds simply amazing. I love Kiersten White's writing, and I can't wait to see where she takes us with this new book. Great pick! I love the concept of this one and the cover is gorgeous. Great pick! Doesn't it sound amazing! I can't wait to read it. OOH I loved PAranormalcy - haven't gotten to any of the others yet. I seriously am in LOVE with that cover. Usually mythology is a turn off for me, especially the Greek myths but I LOVE Egyptian mythology. I'll be looking for this one! Great pick! I hadn't heard of this one before, but the cover is GORGEOUS! I still need to try this author, lovely pick!